Vinyl records are rediscovering its popularity. While listening to heavy sounds that can not be found in digital data is one reason, however also “jacket love” seems to be another reason. In the era when LP records were mainstream, the artwork of the album jacket had a presence as one work. There are not many album jackets of excellent design that artists and designers have worked on. In jazz, Reid miles of Blue Note that combines typography with monochrome photos (ex. “Cool Strutting” by Sony Clark) and illustrations and bold color work Vave ‘s David Stone Martin (ex. “West Coast Jazz” by Stan Getz) are well known. In Rock, a series of Pink Floyd ‘s works including “Madness” by Pipnosys or The work of Andy Warhol with outstanding sense and shocking ideas that made a strong impression to surpass the contents. (ex. “The Velvet Underground & Nico” “Velvet Underground & Nico”) . In the artist, works of great surrealism artist such as Chirico and Dali are also used. Also from contemporary artists such as Mr. Ikeda Masashi, Yokoo Tadanori, Robert Maple Soap are used as an album jacket. While there are many designs of album jackets by famous designers and famous artists, examples of jacket artworks deeply related to internal music are rare. Ornette Coleman’s “Free Jazz” (1960) using Jackson Pollock’s “White Light” is such a rare album. On the cover of the jacket, the album title etc. was expanded to the whole face with a simple logo, the part at the lower right not having the letter was cut out into a square, and a part of “white light” placed on the inside of the jacket from there It is a mechanism to see. 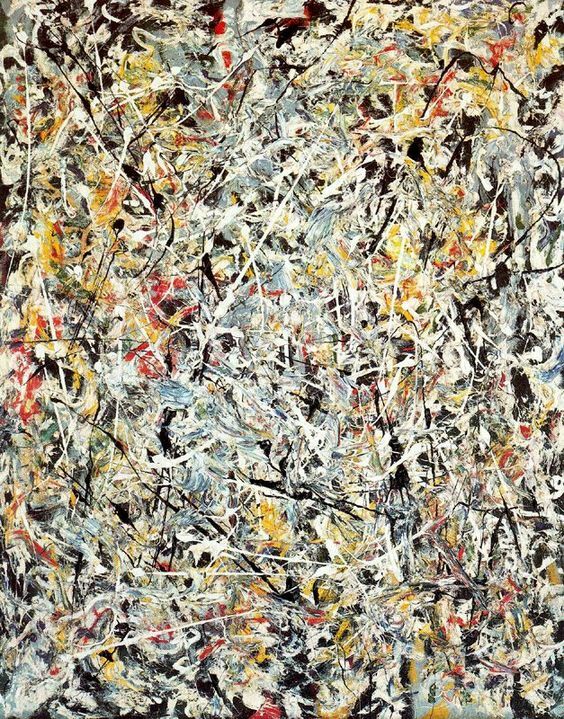 “White light” is a work of 1954 near the later years of Jackson Pollock. Ornette Coleman described his music as ‘something like the painting of Jackson Pollack’ in the liner notes of “Change of the Century” released in the previous year of “Free Jazz”. It is often said that Jackson Pollock’s work is musically abstract and overall, but Ornette Call says that his own music is like Pollock. 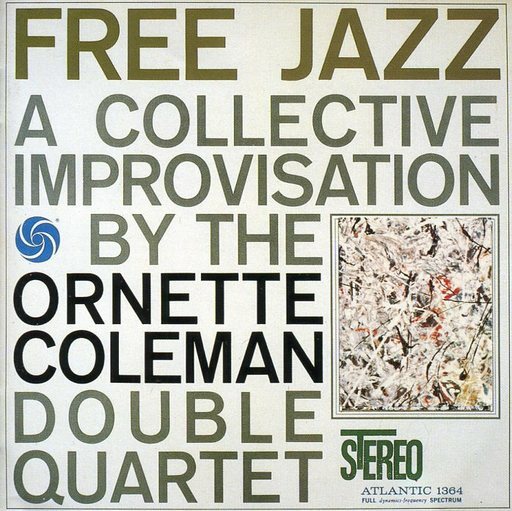 Ornette Coleman’s “Free Jazz” takes a different quartet on each of the left and right channels and takes an unprecedented performance method of continuously improvising for 37 minutes. While ensemble between each solo themes likes are played, but there is no transition of songs, no chord progression, no unified rhythm development. During the performance of each solo, another player plays the sound in improvisation and the rhythm also changes abruptly. 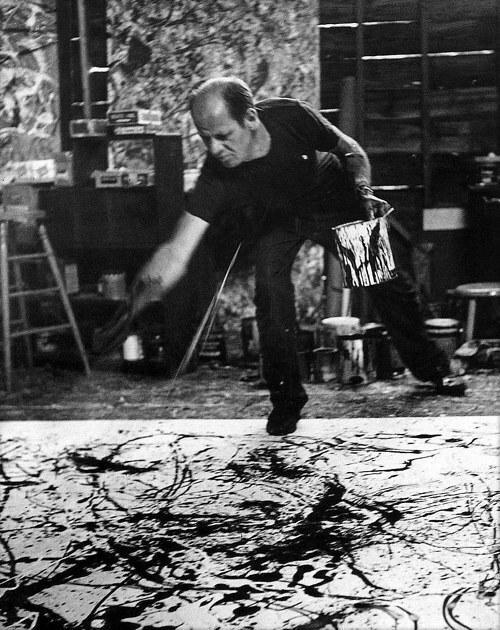 Jackson Pollock’s paintings has no bounds of the region or hierarchy. Each element are being juxtaposed rather than being mobilized to represent a certain motif. It features expressive methods including improvisation and confidentiality. “Free Jazz” can also start listening from anywhere, it is a completely all-over composition so that it can end wherever it is, deployment due to transitions of theme, ad lib, theme and music album consists of at most a few minutes long It is intended to deviate from common knowledge that it consists of multiple songs. The sound of each instruments in “Free Jazz” reminds me of the paint of the painting of the first swing of the polo painting. What is noteworthy is that the rhythm section of drums and basses that was backwards before it is treated equivalent to saxophone and trumpet. Scott Rafaro who became famous for interplay after Bill Evans trio is participating on the basis. Originally improvisation performance is one of the features of jazz, simultaneous improvisation performances by double quartet are producing unexpected effect and tension due to duplication of solos and dissonance between instruments. Action improvisation and confidentiality included in the expression of Pollock are very similar to Free Jazz. What is common to both is the attempt to become free from the existing frame and its innovation. Free jazz started by Ornette Coleman did not become mainstream of jazz. King Miles Davis, who innovated bebop’s chord progression through the idea of ​​mode (melody) denied free jazz and ignored it. However, the abstract solo by Miles Davies’s last second Quintet (Wayne, Hervey, Ron, Tony) in the latter half of the 60′ s and Avan garde at live sound sources of Lost Quintet (Wayne, Tick, Dave, Jack) As far as I heard about improvisation ‘s compensation, and moreover, an ecstatic simultaneous improvisation performance by an adult band in the electric period, what Miles absorbed from free jazz was never small. Miles’s hatred and ignorance was exactly recognizing the revolutionary nature of free jazz that Ornette Coleman initiated, but it was probably the leading Miles’ reaction. Ornette Coleman said “Being like music, not just my music” in front of Pollock’s work “Green Silver” in 2006. The musical image that Jackson Pollock’s paintings have has led to modern jazz innovation via Ornette Coleman. Pollock used jazz as the great art that America brought. Pollock liked listening to New Orleans Jazz, Swing Jazz and Billy Holiday, was not a modern jazz.